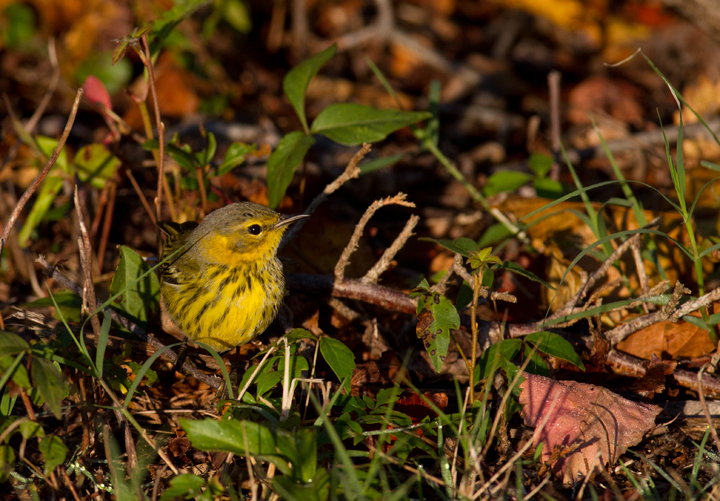 October in Maryland. 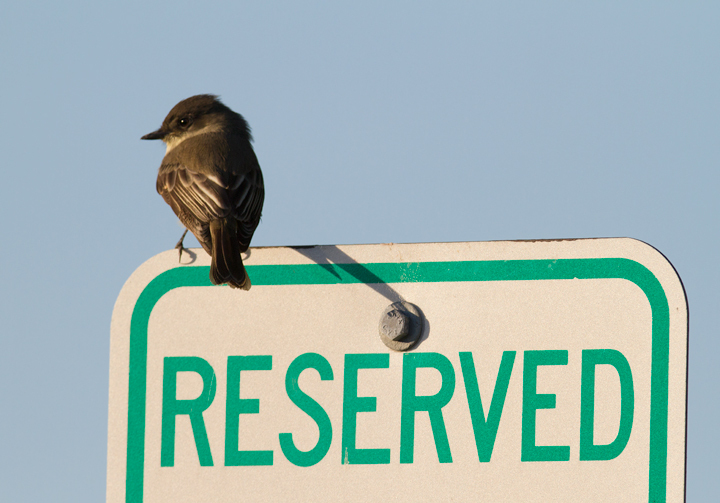 Last updated: 10/23/2011. 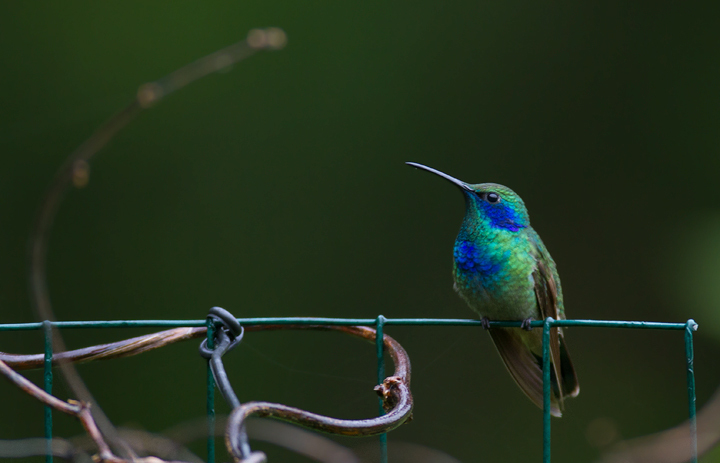 Above: Maryland's first record of Green Violetear, a Central and South American species. 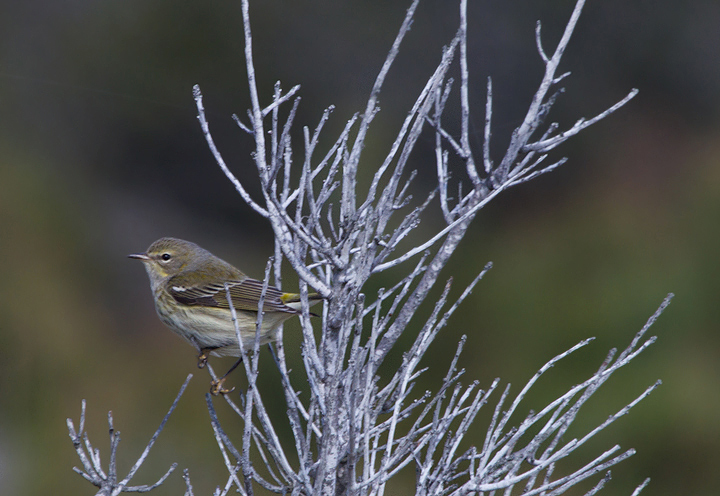 The blue patch on the chest suggests that this bird belongs to the nominate, northernmost subspecies (Mexico to Nicaragua). 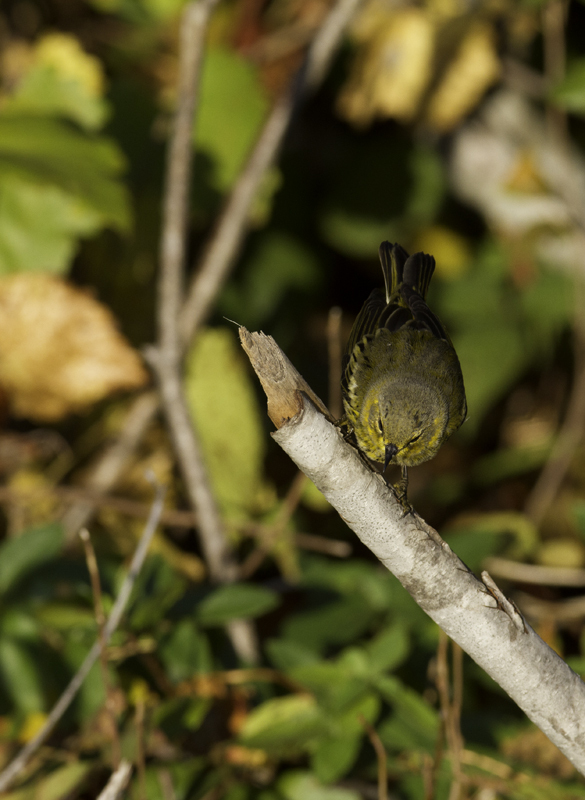 - Elkton, Cecil Co., Maryland (10/12/2011). 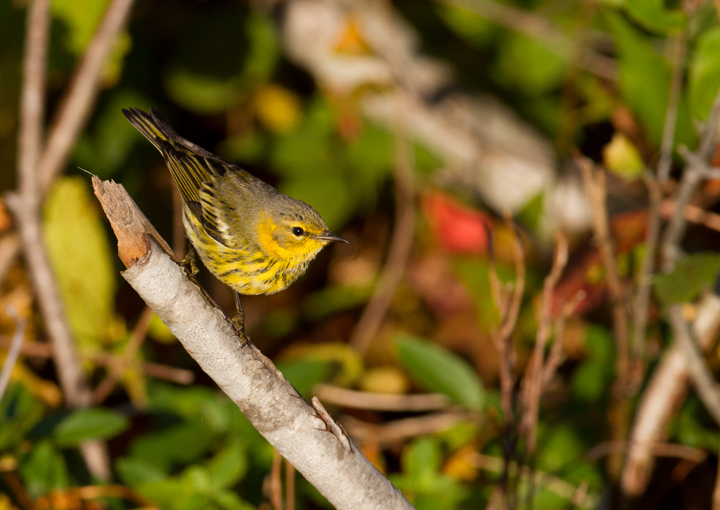 Below: Cape May Warblers on Assateague Island, Maryland (10/16/2011). 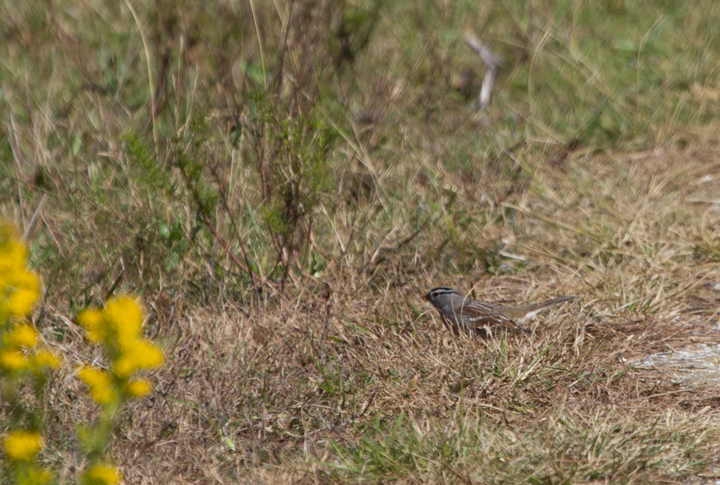 Below: Two Clay-colored Sparrows on Assateague Island, Maryland (10/16/2011). 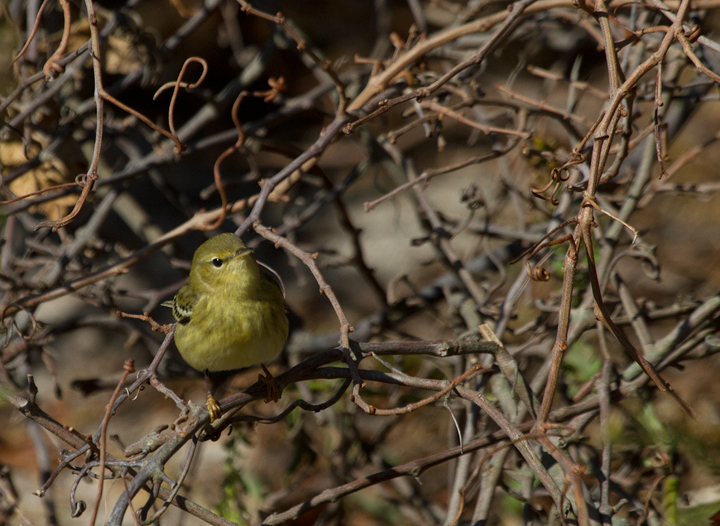 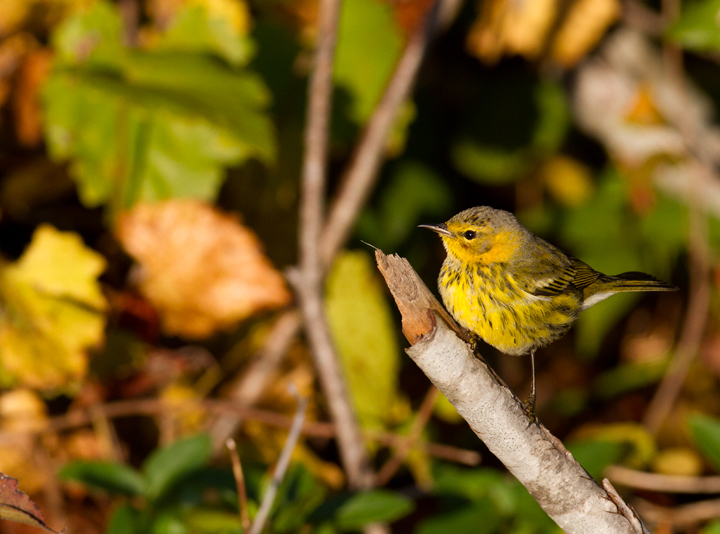 Below: An Orange-crowned Warbler in Bayside Campground, Assateague Island, Maryland (10/16/2011). 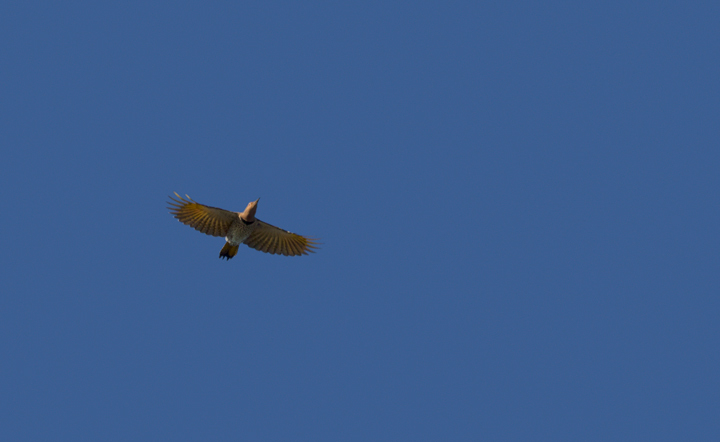 Below: A Northern Flicker in flight over Assateague Island, Maryland (10/22/2011). 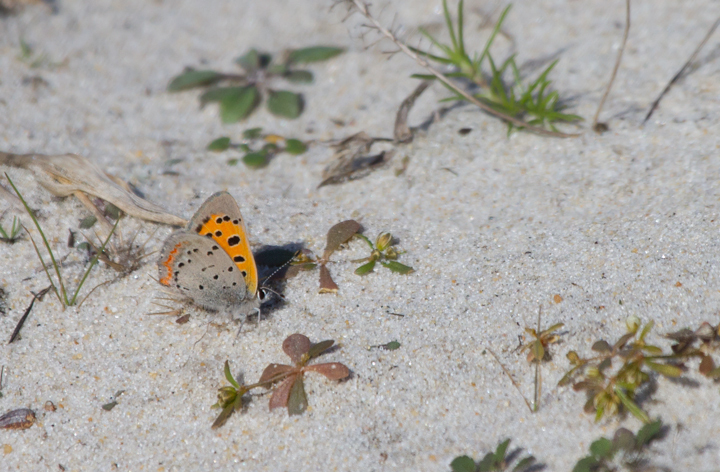 Below: An American Copper on Assateague Island, Maryland (10/16/2011). 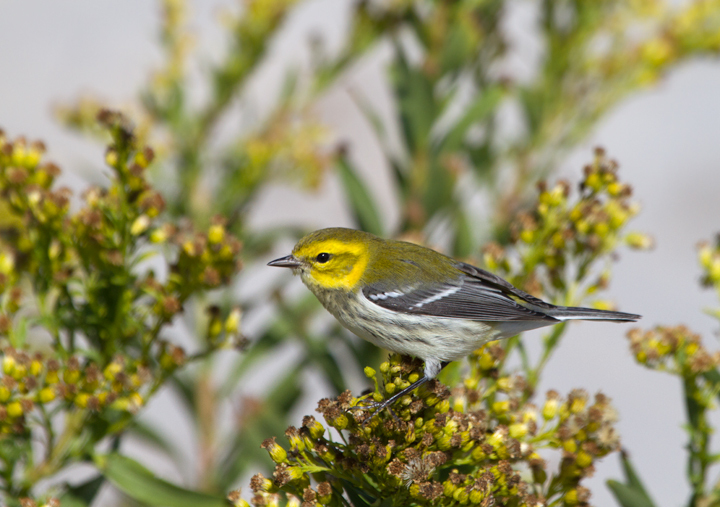 Below: A migrant Blackpoll Warbler refuels on Assateague Island, Maryland (10/16/2011). 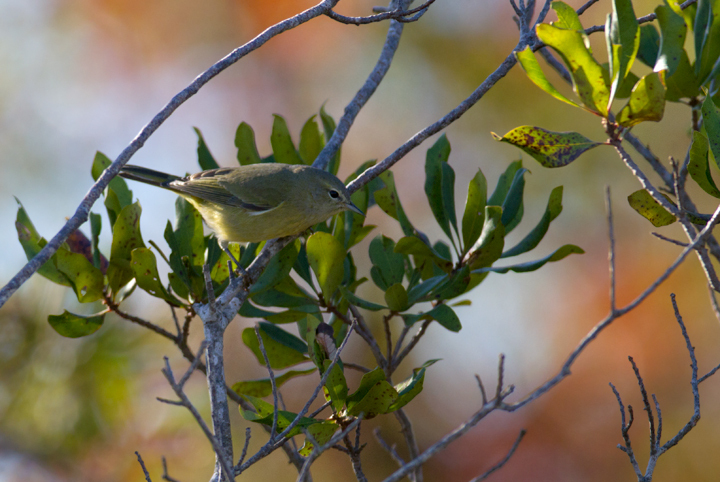 Below: A juvenile Red-headed Woodpecker on Assateague Island, Maryland (10/16/2011). 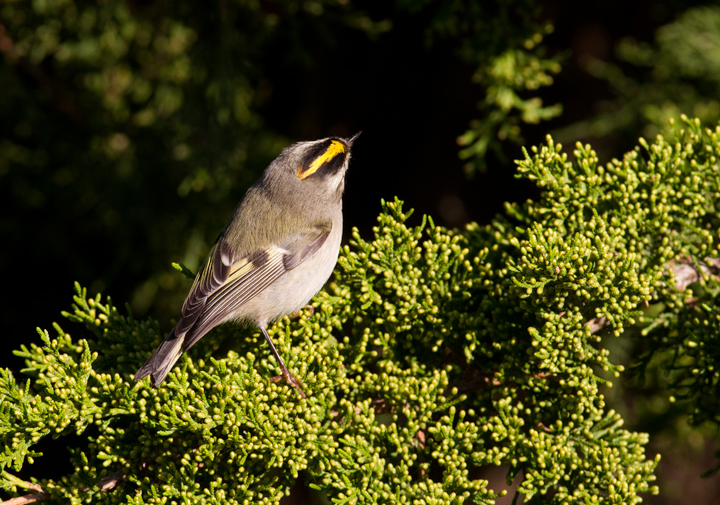 Below: A Golden-crowned Kinglet at Bayside, Assateague Island, Maryland (10/16/2011). 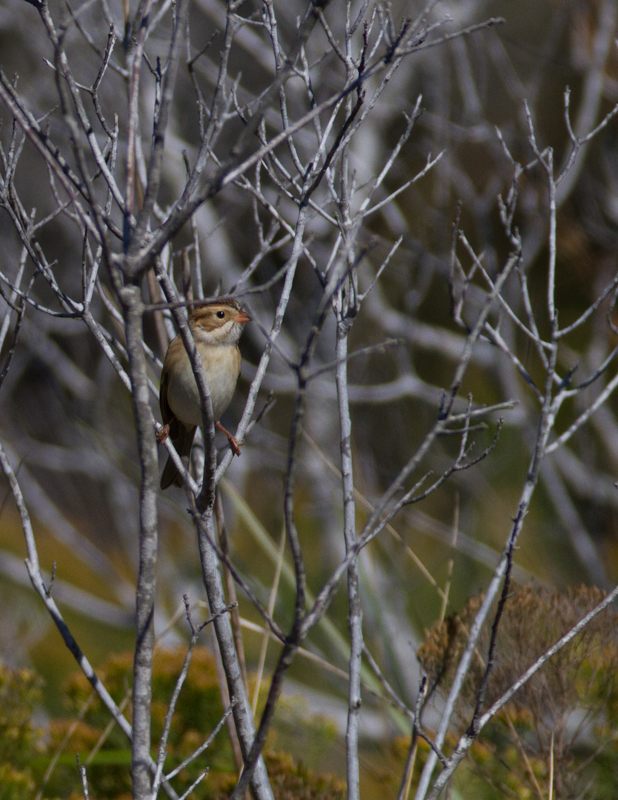 Below: An adult "Gambel's" White-crowned Sparrow at Assateague SP, Maryland (10/22/2011). 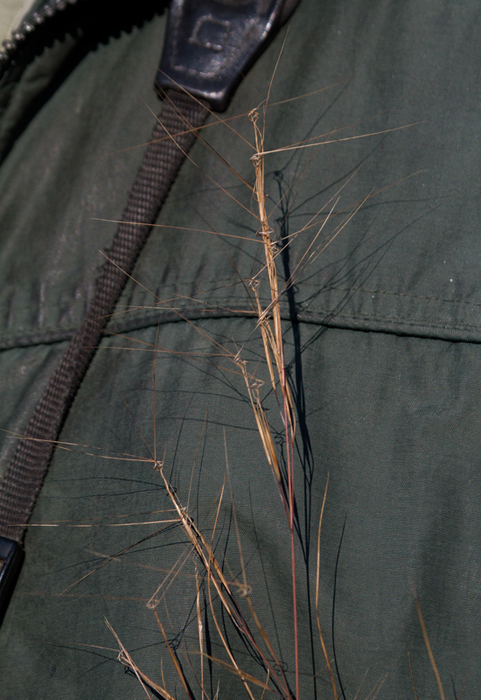 Below: Three-awn Grass (Aristida sp.) 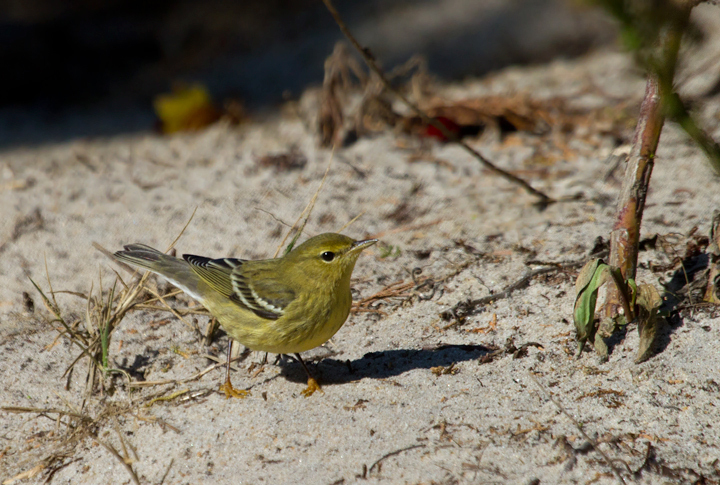 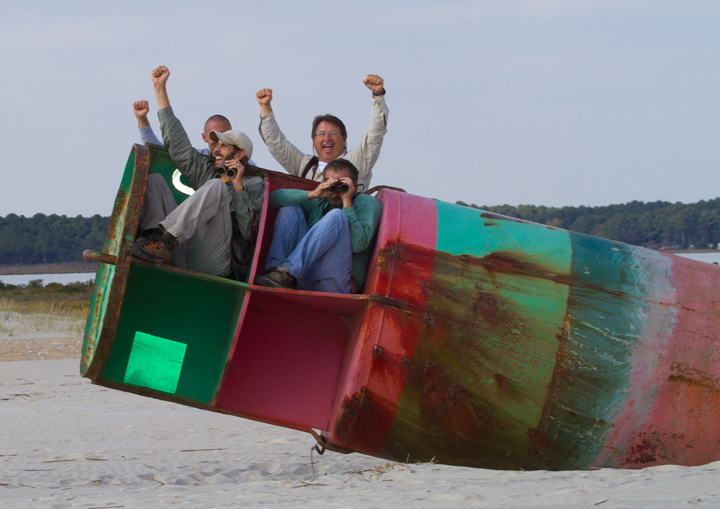 on Assateague Island, Maryland (10/16/2011) - Pointed out by Jim Stasz. 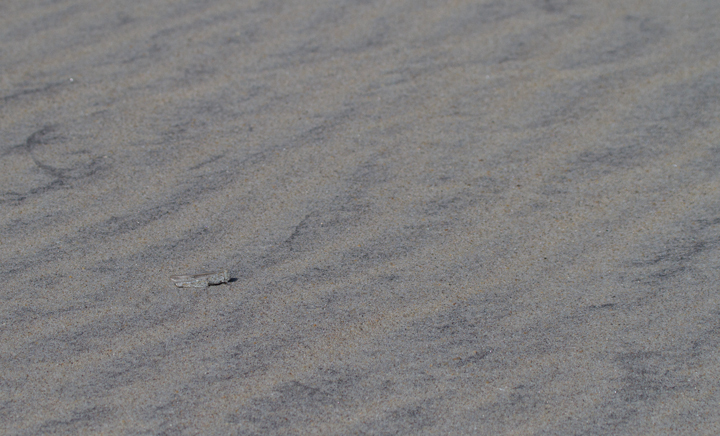 Below: This White-rumped Sandpiper (right) was an unusual sight at the Ocean City Inlet, Maryland (10/22/2011). 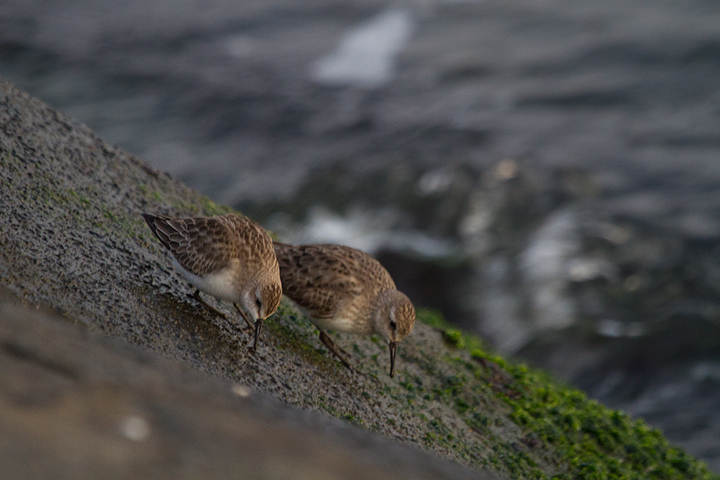 A Semipalmated Sandpiper is feeding on its left. 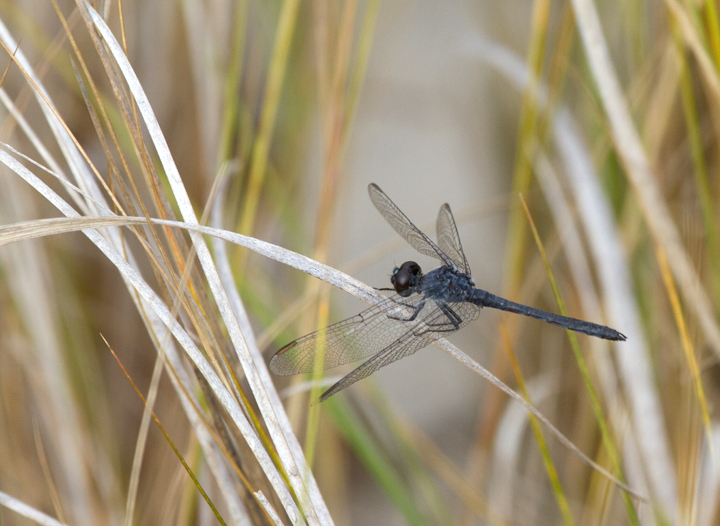 Below: A late male Seaside Dragonlet on Assateague Island, Maryland (10/16/2011). 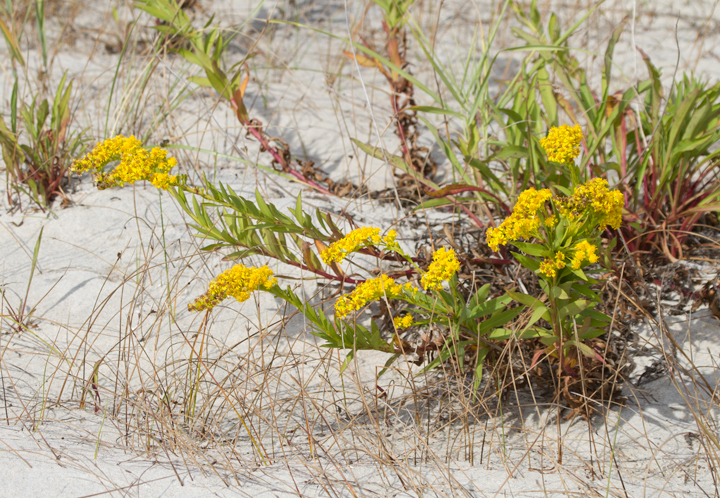 Below: Seaside Goldenrod (Solidago sempervirens) on Assateague Island, Maryland (10/22/2011). 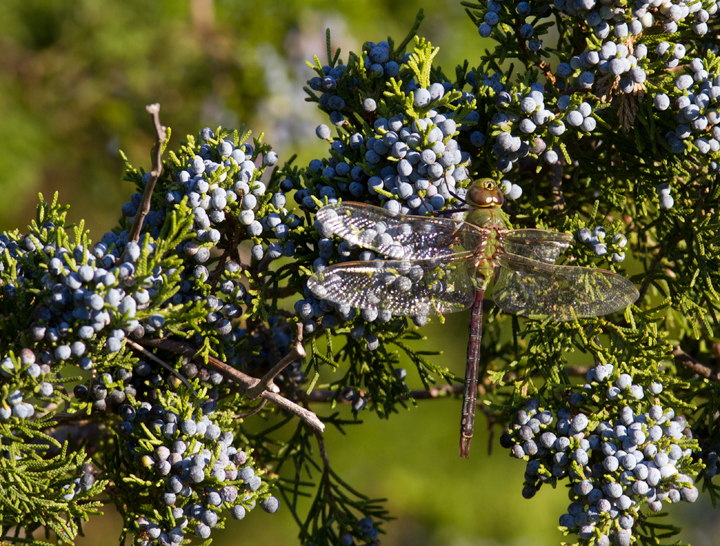 Below: A worn Common Green Darner warms in the morning light at Bayside, Assateague Island, Maryland (10/16/2011). 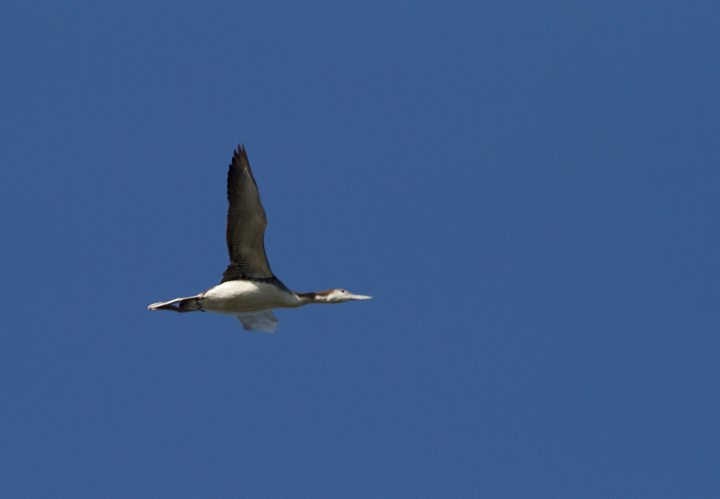 Below: A migrant Common Loon in flight over Assateague Island, Maryland (10/16/2011). 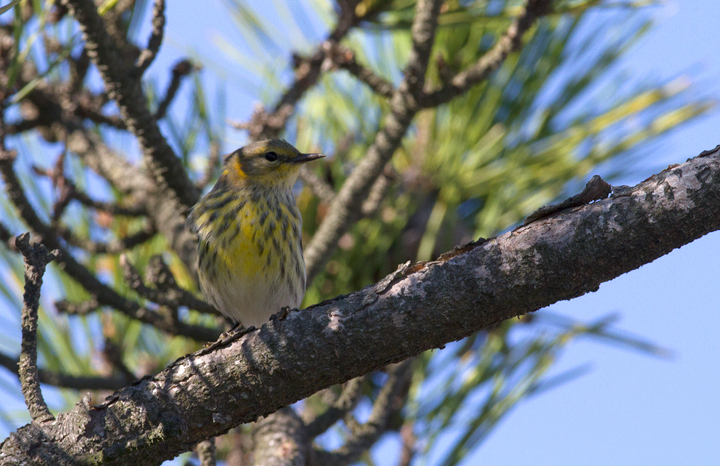 Below: A drab Cape May Warbler on Assateague Island (10/16/2011) - an easy miss right now among the building numbers of Myrtles. 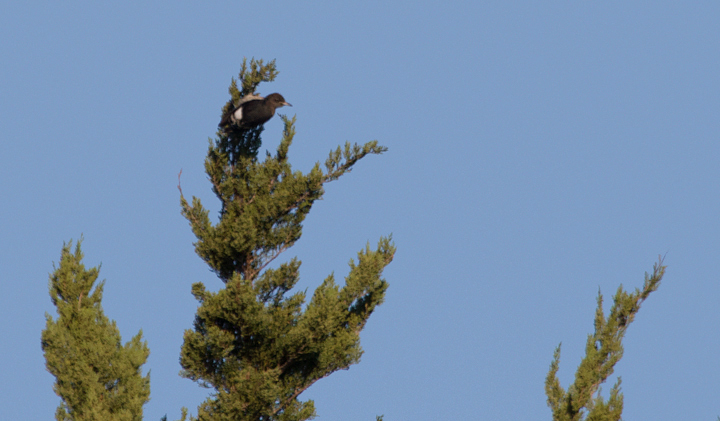 Below: Documentation photo of a very late Common Nighthawk in West Ocean City, Maryland (10/22/2011). 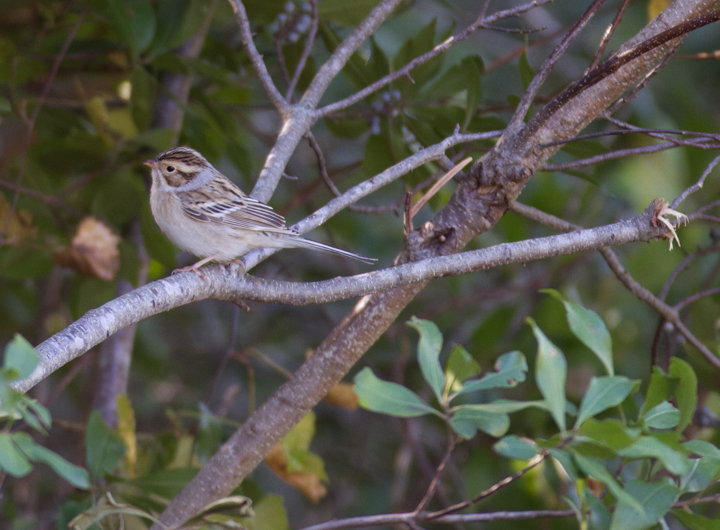 This was a new Worcester Co. late date in eBird. Below: An Eastern Phoebe at Bayside, Assateague Island, Maryland (10/16/2011). 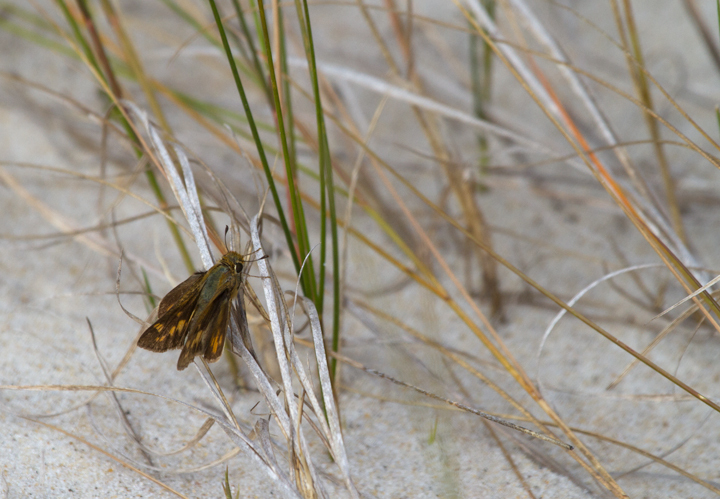 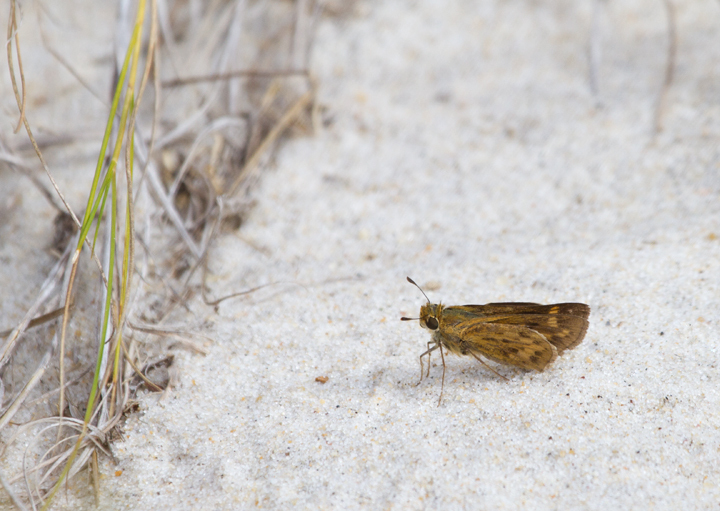 Below: A lingering female Fiery Skipper on Assateague Island, Maryland (10/22/2011). 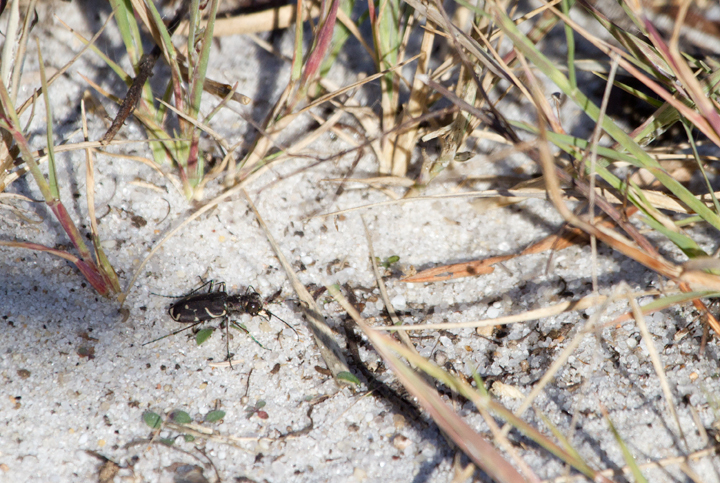 Below: An Oblique-lined Tiger Beetle on Assateague Island, Maryland (10/22/2011). 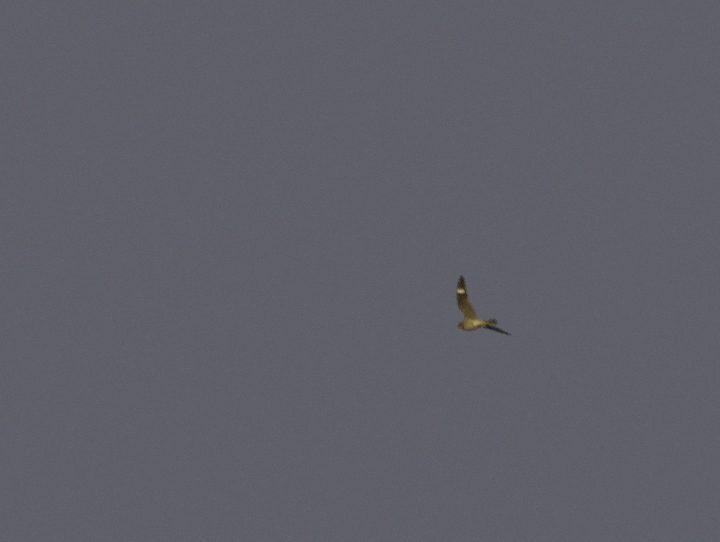 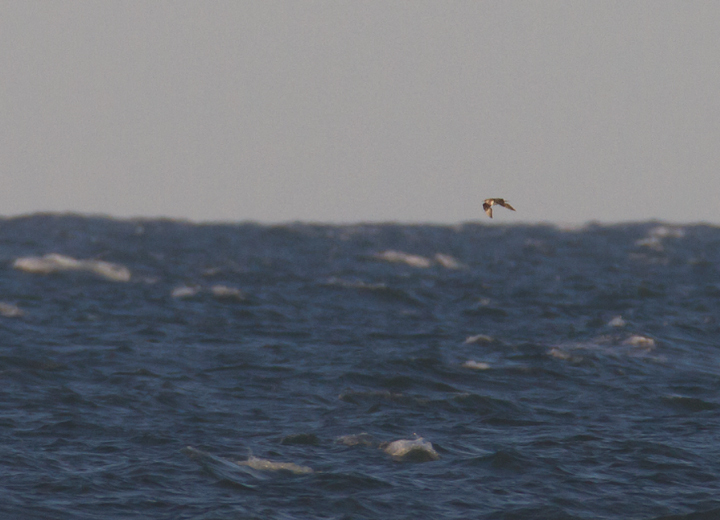 Below: A distant Parastic Jaeger off Assateague Island (10/16/2011) - an overdue new photo species for me in Maryland (#370). 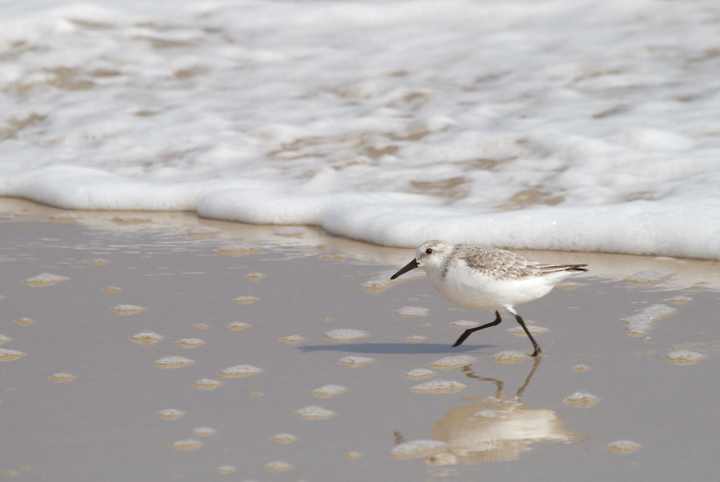 Below: A Sanderling on Assateague Island, Maryland (10/16/2011). 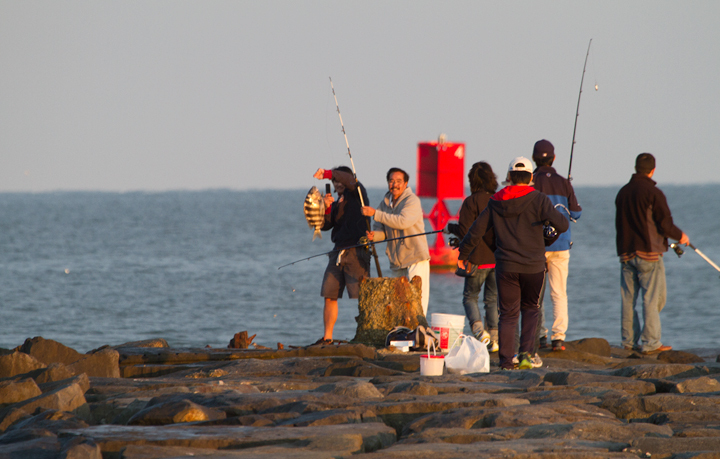 Below: Fishermen haul out a Sheepshead at the Ocean City Inlet, Maryland (10/22/2011). 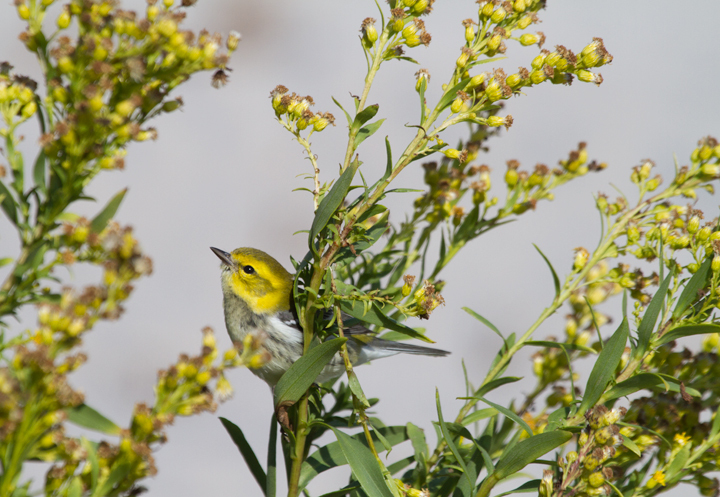 Below: A Black-throated Green Warbler feeds in the Seaside Goldenrod on Assateague Island, Maryland (10/22/2011). 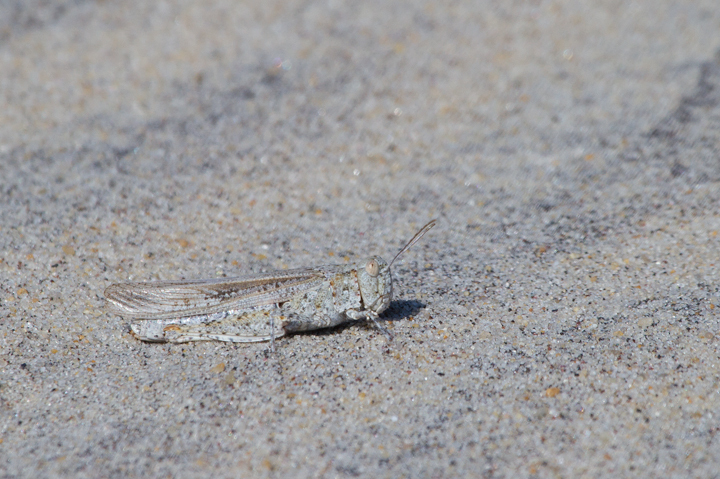 Below: A Seaside Grasshopper (Trimerotropis maritima) blends in perfectly in the dunes on Assateague Island, Maryland (10/22/2011).